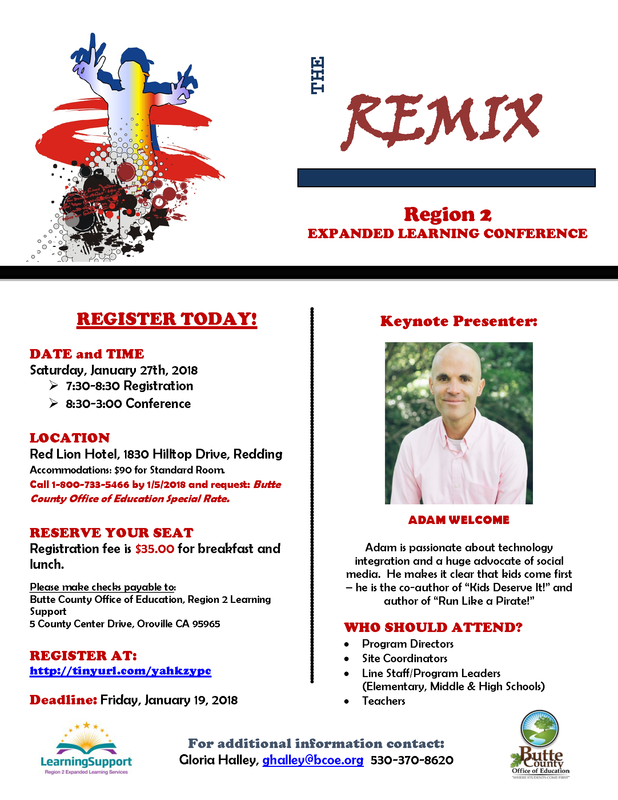 REGISTER TODAY for The REMIX! Call 1-800-733-5466 by 1/5/2018 and request: Butte County Office of Education Special Rate. Registration fee is $35.00 for breakfast and lunch.